DeLena Ciamacco: The Real Estate Expert: OPEN HOUSE IN WESTERVILLE/ OLENTANGY SCHOOLS! Sunday April 12th 2-4 pm! 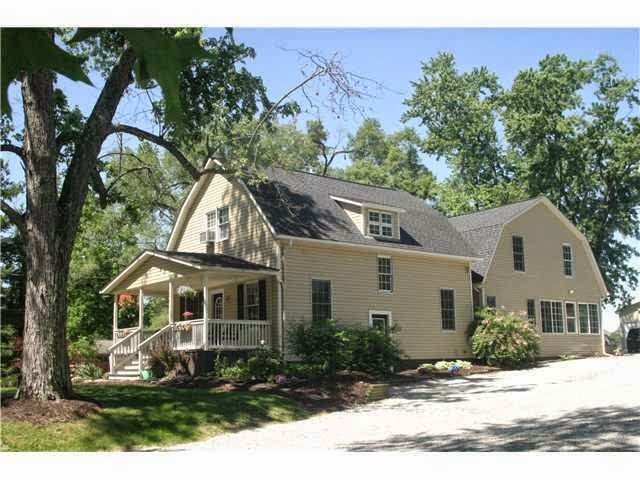 Must see Renovated large farm house on 2.31 acres! 1200 sq ft building zoned commercial out back! Charming renovated LARGE farm house on beautiful 2.31 acres close to all conveniences with country setting! Great for entertaining! Huge kitchen w/ island & stainless appliances opens to great room. 8 BR, 5.5 baths,Large MBR w/ his and her closets & sinks, large garden tub and shower. Any of the bedrooms can be used as den. In-law suite in LL, full kitchen and living area in LL w/ separate walk out door. Gorgeous patios w/stainless outdoor kitchen, Pool w/ deck, 2 car detached 1200 sq ft building w/ 2 rooms for work or pleasure, heated & cooled, kitchenette, half bath,100 amp service. Out building is currently zoned commercial. New roof in 2011. See list of ALL updates!!!!! So many!